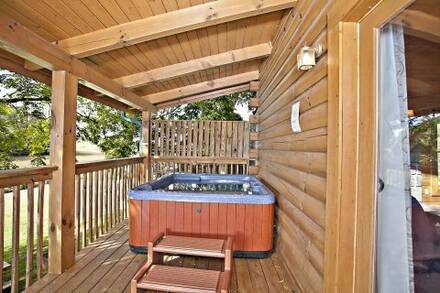 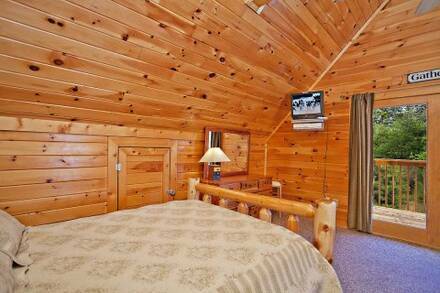 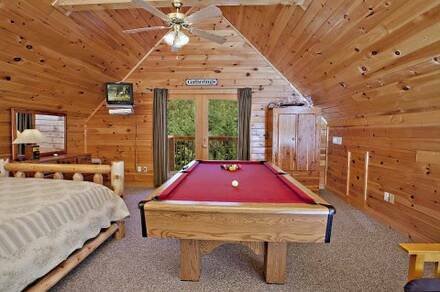 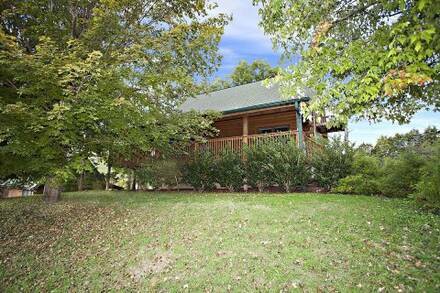 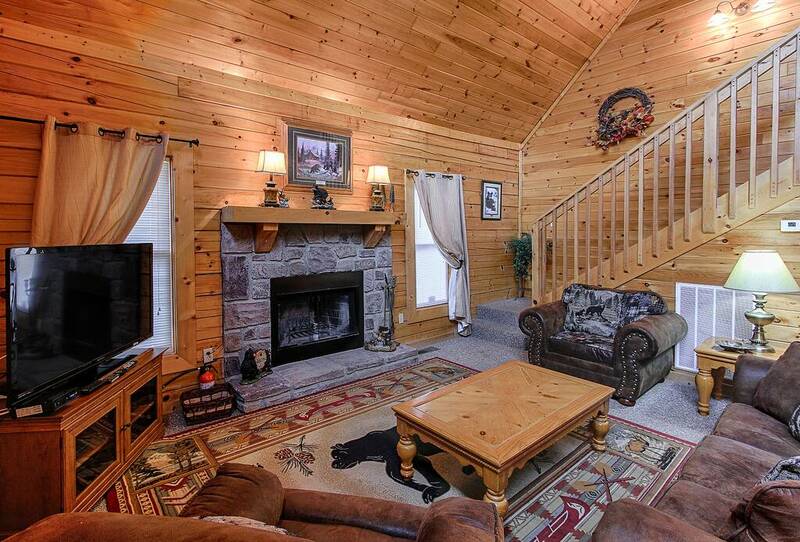 There is more than enough room for Mama Bear, Papa Bear, and Baby Bear in the spacious Three Bears chalet. 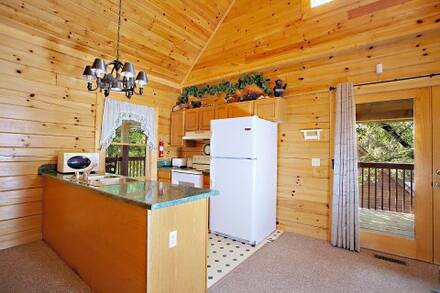 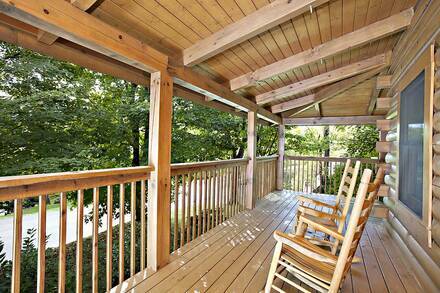 With three bedrooms, this makes a great spot for a larger family, couples’ getaway, or even just a group of friends. 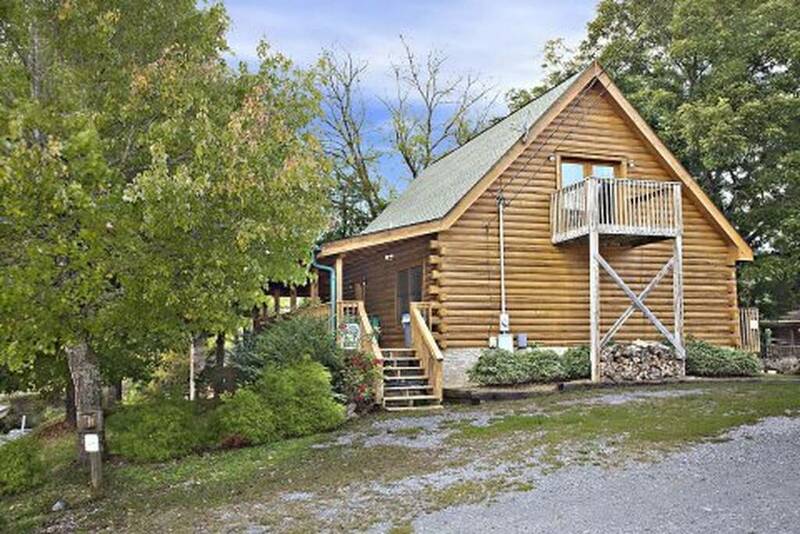 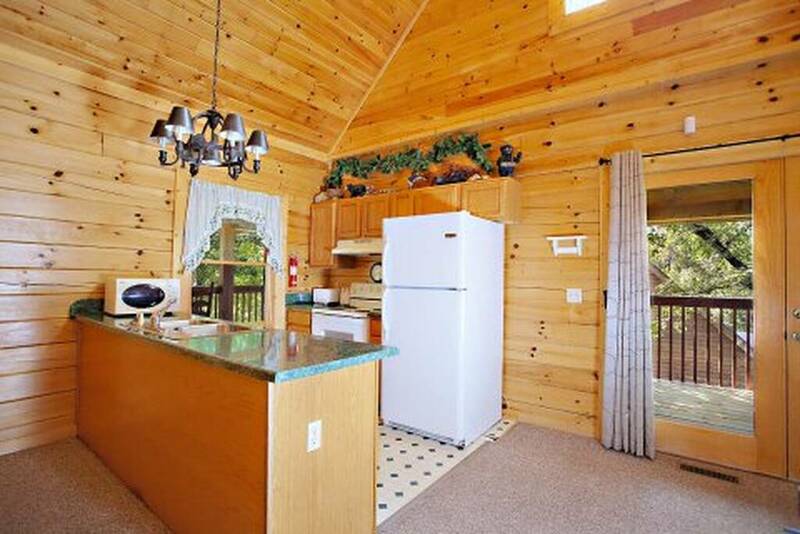 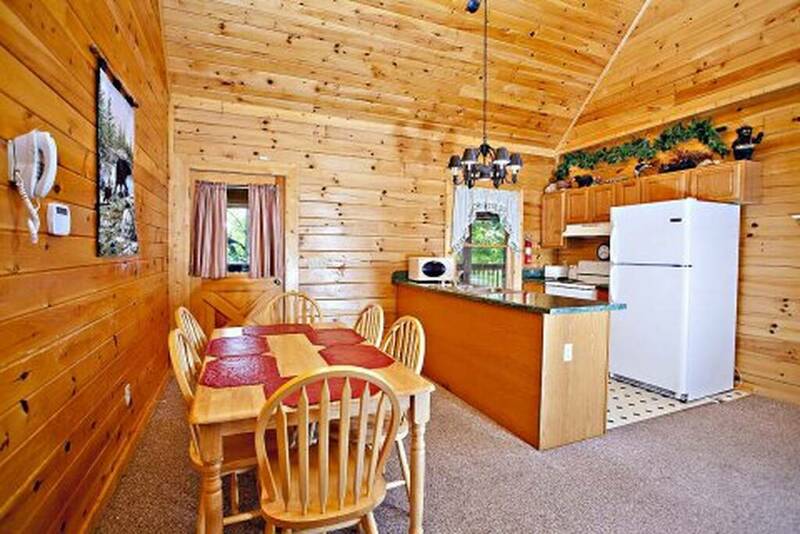 Use this three-bedroom cabin in the Smokies as base camp for exploring the Great Smoky Mountains National Park or the sights and sounds of nearby Pigeon Forge. 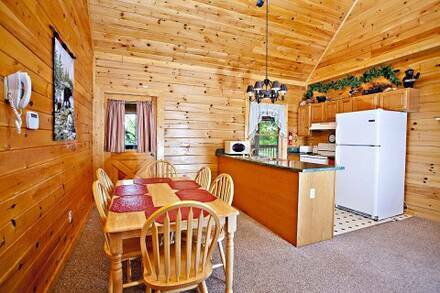 This elegantly decorated cabin has an inviting living room, with stone-mounted fireplace and sophisticated yet comfortable furnishings. Pile a few logs on the fire and listen to the crackling flames while enjoying a show or flick on the large flat-screen television. 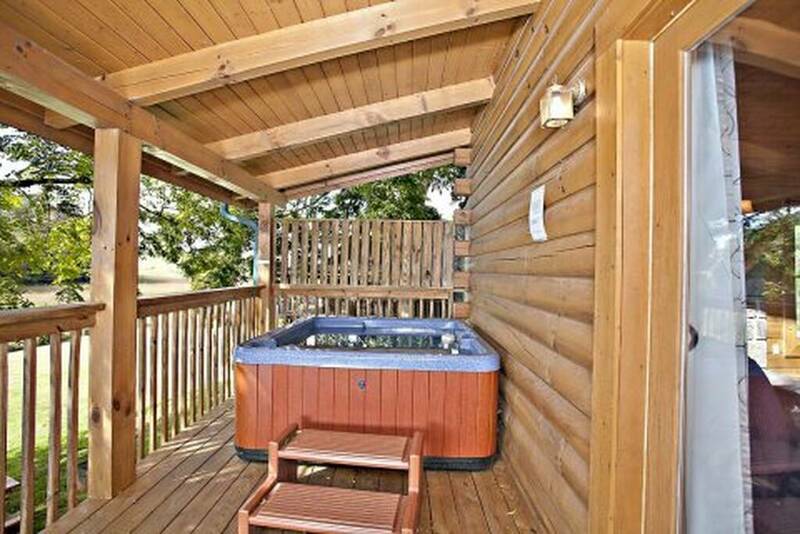 Slip away for a quiet moment in the rocking chairs on the front porch or let the bubbles in the hot tub massage your muscles as you let your stress drift away. 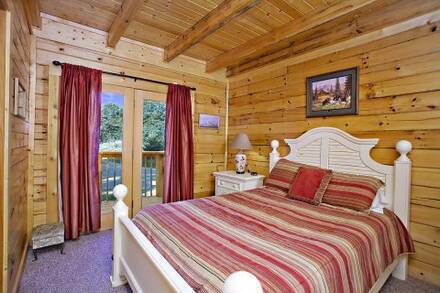 Up to eight can stay in Three Bears, which has two bedrooms with queen beds, plus a double bed, and sleeper sofa. 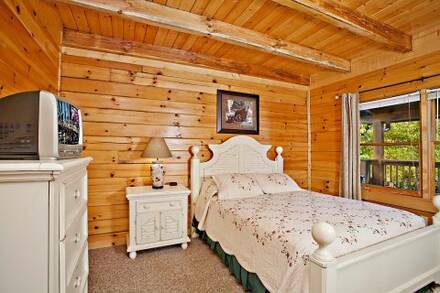 The entire cabin has Wi-Fi and, with its peaceful woodland setting, you will likely want to post a few pictures of this quiet cabin. 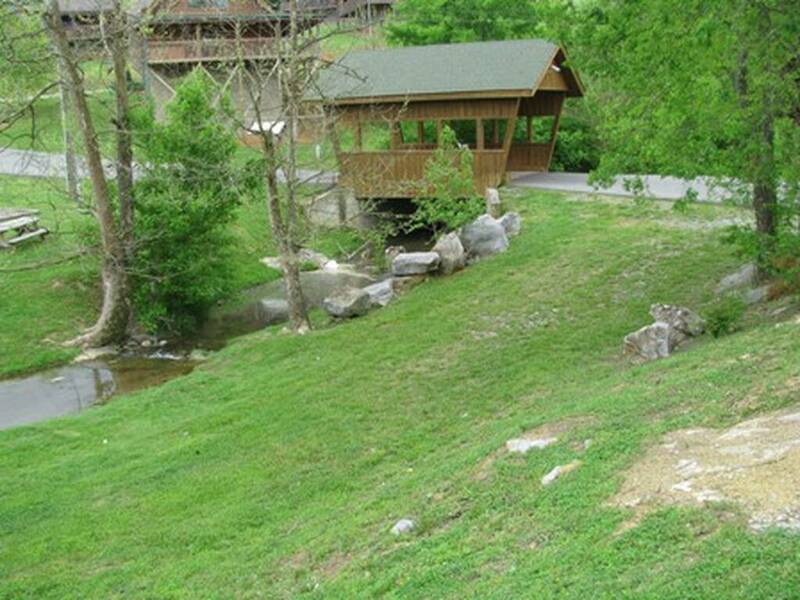 Only two miles from the entrance to Dollywood and Splash Country, Three Bears also offers easy access to the Smoky Mountains, arts and crafts community in Gatlinburg, and outlet malls in Pigeon Forge, so book this cabin today!